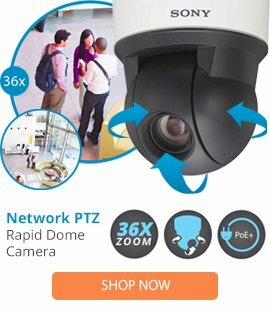 The LDIE-0 is a SARIX IE lower dome w/ a white finish and a tinted dome from Pelco that can be used as a replacement dome for use with the SARIX IE series of dome cameras. The LDIE-0 lower dome comes with a 5” bubble diameter, no trim ring, dome camera housing compatibility, plus a sturdy construction, and lightweight handling. This lower dome is able to provide camera protection and features an f/0.5 light loss due to the smoked dome appearance.